This article has some important insights for traditional Sunday Schools that are using or would like to use the extra creative Writing Team lesson sets here at Rotation.org. The "workshop" lesson plans in each Writing Team Lesson Set are written with the Workshop Rotation Model in mind, but many traditional Sunday Schools use them as well. Rotation Modelers teach the same story for several weeks in a row to their entire elementary age Sunday School. Each week, classes move to a new "workshop" (learning styles or techniques). And they repeat some stories over the course of a 5 or 6 year "scope and sequence." This is why our sets contain 6 to 8 workshops to choose from. Traditional Sunday Schools account for about 40% of our Supporting Members. "Traditional" meaning, a new Bible story every week. This means they will likely pick just one lesson from each set. But which one to pick? This article gives you some important insights about that. Regardless of which Model you use, the WT lesson sets give you A LOT of great teaching options. We suggest you "rotationize" your thinking a bit by adjusting your teaching schedule so that you can use at least two lessons from each WT Bible story lesson set. This will improve your student's memory of the content, and allow your teachers to really explore some creative ways of teaching by picking more than one workshop-style lesson per story. If your schedule requires you to teach one new story per week, we suggest you make sure you are not always picking the same lesson medium (such as, the Art Workshop) from the WT sets. Pick that Drama or Game Workshop instead of gravitating towards the Art workshop every time. Use the creativity of the lesson sets to stretch your teaching skills. Some WT workshop lesson plans are a better choice for those who only have one week to teach the story. Some lessons offer a better "overview" of the story, or spend more time teaching the whole story. Read the lesson. Notice that SOME of the lessons in each set go above and beyond the call of creativity. Each WT Lesson Set typically contains one or two "extra special workshops" for those with more class time, or time to prepare, or students who are already somewhat familiar with the story. These "above and beyond" lessons are also great for that special teacher who loves a creative challenge. Some WT lessons are easier to "adapt down" to younger children. See the "adapting down" discussion below. Which WT lessons are better for those using just one lesson from the set? In the Rotation Model, all the workshop lessons are supposed to "teach the story" each week. But some lessons in a set will provide more of an overview than others. See the suggestions below. The Video Workshop tends to present an overview of the set's story. This is because many videos present the complete story in a visually memorable format. For this reason, some Rotation Sunday Schools combine classes on the first week of the Rotation to watch the video together. 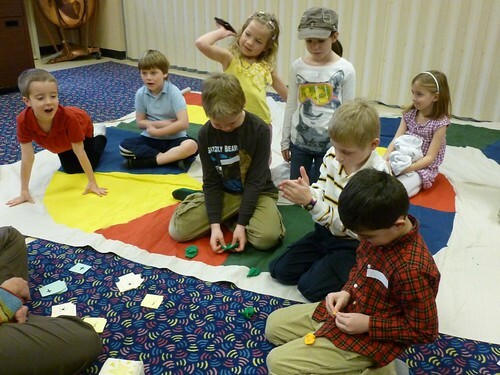 The Art Workshops and Bible Games Workshops in each set "tend" to make learning the entire story their focus. Sometimes it depends on the story itself. The Exodus story is likely to get completely acted out in the Drama Workshop, and it's so big you won't likely act out anything else. Whereas, the Good Samaritan story being shorter than the Exodus, can spend more time focusing on life application skits. Cooking, Computer, Music, Science, etc etc... Each of these workshops will teach the story, but then often focus their lesson time on unique media on a certain aspect or meaning in the story. Sometimes, your best choice just depends on the particular lesson plan. For example, some Bible Games Workshop lessons do a great job of presenting an "overview" or more complete picture of the story. However, sometimes the Bible Games lesson has been written to refresh and reinforce previously taught content, ...making them a better choice for later in the rotation period -if possible. Again, these are all generalizations. You need to read the lesson to be sure. In some cases, the lesson plan includes notes about how the writer thinks the lesson fits within the overall rotation, and perhaps, whether or not it should be taught earlier or later in the rotation -if you have that option. Our "target age" for WT lessons is 3rd to 5th grade. The Rotation Model was created primarily to address the need to attract and teach these older elementary age students --because that's where attendance and interest start to wane. Rotation Model also takes advantage of something well-known to experienced teachers: It is easier to adapt an older children's lesson for younger kids, than it is to adapt a younger child's lesson for older kids. In the Rotation Model, different age groups/classes rotate into a new workshop each week. That means the workshop teacher has to "adapt down" their lesson when the younger kids come in. (Adapting up to 6th grade is an easy stretch.) Traditional Sunday Schools using WT lesson plans with their younger children will have to do the same: adapt. Why write for a slightly older age group? Most teachers would agree that it is easier to take an older kids' lesson and "adapt it down" to younger grades, than it is to "adapt up" a younger lesson for older children. It simply takes less work to simplify something, than to replace it with something more complex. And, Rotation Modelers tend to reject the age-old publishing practice of creating "graded" curriculum -as if you need a different lesson plan for a 1st grader than you do a 2nd graders (it's a great idea if you're selling lessons, however). As well, many smaller Sunday Schools have broadly-graded classes. They may have 1st through 4th together, and the balance of ages within that class can change from year to year. In those churches, adapting isn't an option, it's a required skill. It's easier to simplify a great art project for your younger kids, than it is to come up with a more complex one for your older kids. It's easier to bring in helpers at the computers or for puppets, than it is to find a younger piece of software (less expensive too) or second puppet script. It's easier to change vocabulary in a reading or script or game quiz "on-the-fly," than it is to write two versions of everything. Some lessons, activities and Bible Stories are harder to adapt than others. Many Videos can be used K-6th. But software tends to be for grades 2nd-6th. Because most of our teachers are also parents, they tend to adapt intuitively, but we still recommend that you add "adaptation notes and helps" to each lesson plan for your teachers. Suggested vocabulary and simpler explanations for younger students. What to skip. What to spend more time on. What will take more time. What to prepare in advance. * "Extra help" is always your biggest asset when it comes to adapting. Stray teens are especially good to recruit. They can help individual students understand, do, play, mouse, read, and perform. In fact, "extra help" can be quite a ministry to both the student and the helper, as well as, make every lesson plan amazing. MOST of the new & improved Writing Team lessons have more "Younger Student Adaptations." This was one of the major improvements in our WT Renovation Project. We hope this article has been helpful. Your thoughts are welcome. Reply below. 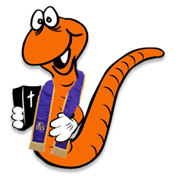 WoRM vs Traditional Lesson Plans... What's the Difference? First Baptist RushvilleLesson Wrangler (100+ pts) a Supporting Member! Rotation.org doesn't sell any products. The lesson writer recommends a video which you would then need to purchase from a resource retailer. (Vision Video, Christian Book Distributors, Amazon, to name a few.) In some cases, the recommended videos are on YouTube. Or if you're really lucky, you already own the video or know a church which does! All video recommendations found in the new and improved Video Workshop lesson plans have been "vetted." We look at many before selecting one. In most public forum video posts, the recommended video is simply the writer's opinion, and in fact, you often see several suggested videos. Check the date of the post's recommendation as there have been some great new videos that have come out in the past 5 years. When unsure about which one to pick, you can often find that someone has uploaded part of the video on YouTube so you can check it out yourself. OR, you can post a question in the LESSON HELP FORUM to get replies/opinions from those who have seen various videos for the story you want to teach.